DANOBAT will be exhibiting at AMB which will be held at Stuttgart (Germany) from 18th to 22nd of September. 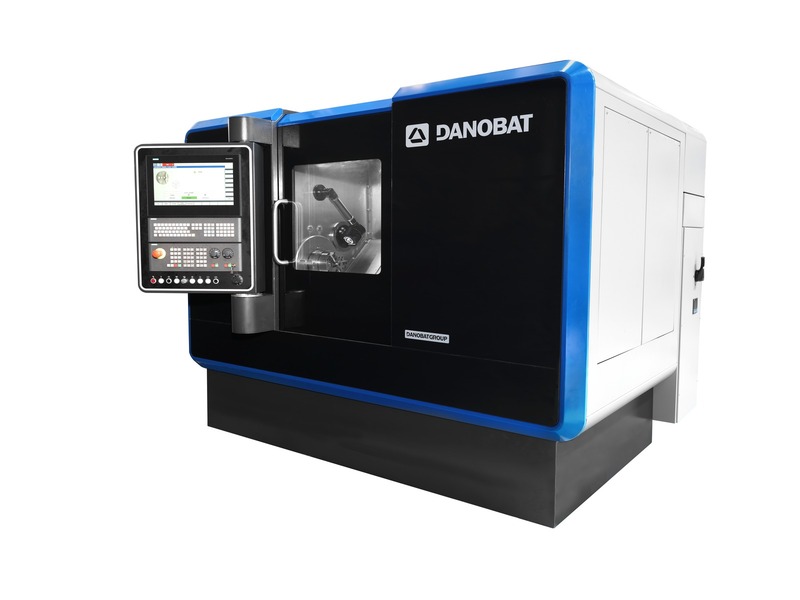 DANOBAT has years of experience on grinding and turning, with a combined knowledge of these two technologies, the LT-400 was developed. The LT-400 is characterised by achieving maximum quality results with great flexibility and adaptability to the client’s needs. The LT-400 adjusts perfectly to the demands of short-run manufacturers, who are required to frequently modify the type of parts they manufacture, without needing to give up the precision of the grinding technology. The development manages to adapt to manufacturers’ different runs with maximum quality thanks to the addition of a granite bed affording thermal stability and greater vibration damping. The LT-400’s bed is a support free of residual stress which maintains its geometrical accuracy, making the work area much more stable than if it were made of another material. In addition, it is at an incline of 45 degrees to favour optimum stock removal. The development likewise has cross slides equipped with contactless hydrostatic technology, ensuring zero wear in the guiding system, preventing the stick-slip effect and offering great damping capacity. The hydrostatic system ensures thermal stability through constant control of the oil temperature. The linear motors of the X and Z axes are controlled by optical scales cooled to a controlled temperature. These motors significantly lengthen the maintenance intervals in comparison with other conventional systems for movement transmission because they lack intermediate mechanical elements. Also of note is the head fitted with hydrostatic bearings and the integrated motor, both of which are cooled. The machine is fitted with a mobile tailstock driven by a linear motor which helps speed up the process of setting up the change of the workpiece. This lathe meets the requirements for manufacturing hydraulic pieces, bearings, spindle nuts and parts for equipment thanks to its capacity for machining high-hardness materials with precision to less than a micron. The IRD-400 grinding solution offer which the company intends to take to the fair includes internal, external, surface and radius grinding, a solution especially designed for machining dies and moulds. Another of the peculiarities of this development is the high degree of exact synchronisation of all the movements of the axes, including the rotation axis of the workpiece (C0), thus enabling eccentric grinding. This feature means that complex geometries can also be machined with the aid of coordinate grinding, and square, rectangular or freeform shapes can be made to great precision. The LG machine range, an ultra-precision grinding machine offering a high degree of customisation and guaranteeing very high machine availability, was developed for grinding workpieces requiring high precision with efficiency and productivity and guaranteeing the highest of quality standards. Typical applications for the LG family are precision hydraulic parts, automotive parts, cutting pieces, cams or components with eccentric diameters. In addition, it affords extraordinary repeatability, due to its natural granite bed, the linear motors and the added optical scales. The wheelhead, fitted with cooled electro-spindles, reaches a maximum peripheral speed of 120 m/s covering the necessary range for grinding with conventional abrasives (45-60 m/s) or superabrasives (20 -120 m/s). This development also comes with DANOBAT DoGrind software, an intuitive, user-friendly system which was developed by the company’s engineers. 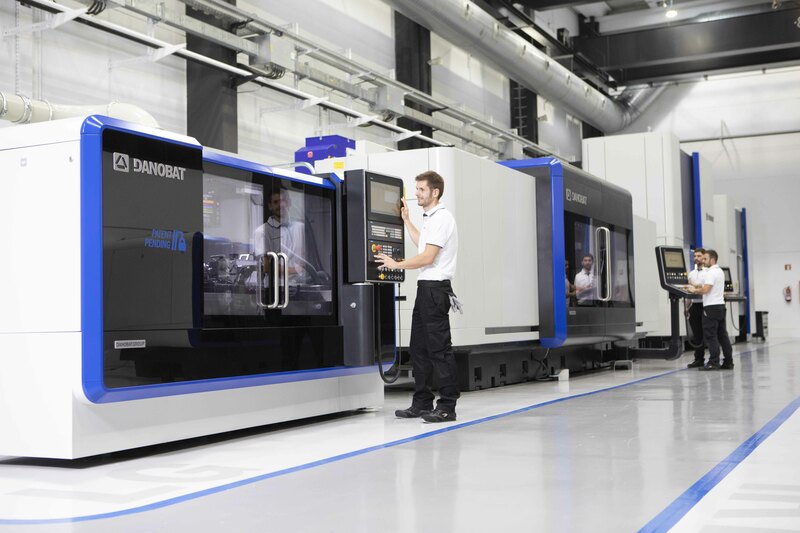 During the course of the fair, DANOBAT will likewise explain its focus on industrial digitalisation, which is structured around an offer of intelligent developments using 4.0 technologies, with an aim to forging ahead in the automation of real manufacturing environments. By way of an example in this respect, the company has developed Smart HMI, an intuitive interface aiding the operator and facilitating the use of the machinery, thus raising productivity. The company has likewise developed a platform for capturing, storing and processing data called Data System which means the status of the machine can be monitored. This development keeps the user informed of the situation and the working of the manufacturing process in real time, it lays down patterns, identifies tendencies, anticipates faults and implements intelligent maintenance strategies.